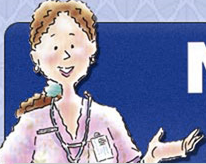 An article by GLMA nursing colleagues Laura Hein and Nathan Leavitt appears in the November/December 2014 issue of Nursing Made Incredibly Easy. The article is free, and you can earn Continuing Education based on the article! Another article in this same issue addresses the spiritual needs of LGBT patients, authored by Rabbi H. Rafael Goldstein. It is worth noting that this issue focuses on diversity, but unlike most discussions of diversity that only address race, ethnicity or culture, only one of the articles in this issue addresses “different cultures.” In addition to the two articles focusing on LGBT issues, other articles focus on caring for nontraditional families, patients with disabilities, patients with tattoos and body piercings, incarcerated patients, and patients of different religions. Check out this very significant issue in the nursing literature! It is ground-breaking! This entry was posted in Education, GLMA Nursing, Publications and tagged Laura Hein, Nathan Levitt, Transgender. Bookmark the permalink.